For many years our Diwali celebrations have been muted. We don’t go to the card parties because we don’t play cards and South Indians anyway don’t play cards during Diwali. We never did the regular “Pooja” that was done by my parents and my in-laws because we don’t generally do “Pooja”…. I don’t have a Pooja room because I think if there is a God then he/she/it has to be omnipresent, so either my entire house is sacred or it’s not. We would of course buy new clothes because we both love wearing good clothes. I also do the Diwali Ki safai, (Diwali cleaning) but that’s a separate blog by itself. This year because of my mom-in-law’s passing away, technically we don’t celebrate Diwali. 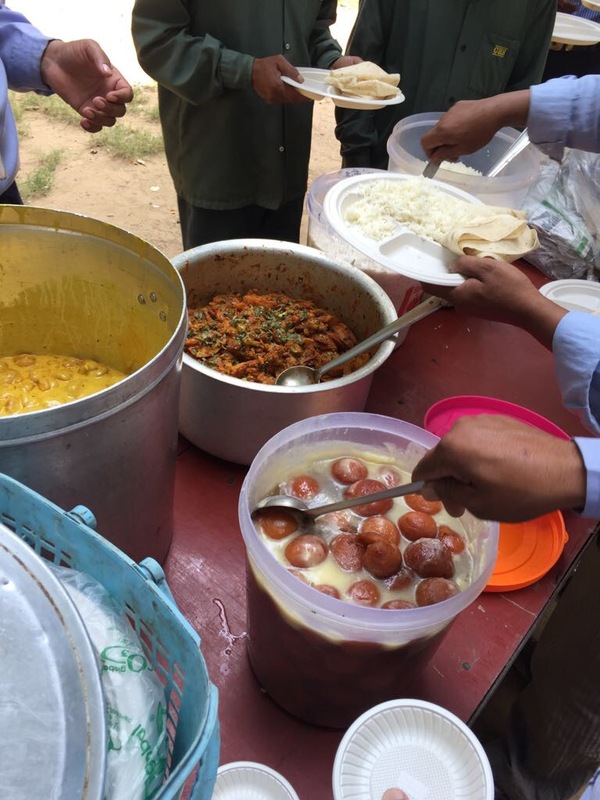 This year too our Diwali was muted but we did what we started a couple of years back – getting food delivered for the security guards and cleaning staff of our condominium complex. We live in a large condominium complex and Diwali is obviously celebrated with a lot of pomp and joy by everyone. 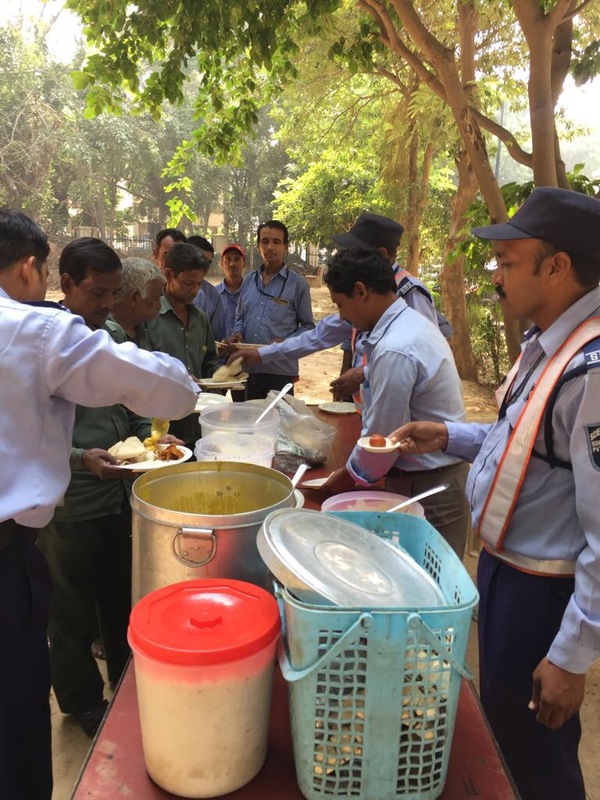 While almost all the residents ensure their maids and drivers etc are taken care of, only some of the residents make it a point to do something nice for the security guards and the cleaning staff. For us, it’s a way of recognising their work and bringing some cheer to them. A security guard in a condo complex does a 12 hour shift and has to bear with disrespect, boredom and a physically exhausting job. People don’t like following rules, cars get parked every which way and the security guard is hauled up .. well he can’t see in all directions. The cleaning staff and the gardeners are invisible people for most people… but “they” better cleanup all the mess that the educated residents leave behind, “Swachh Bharat” is the cleaning staff’s exclusive mission :). 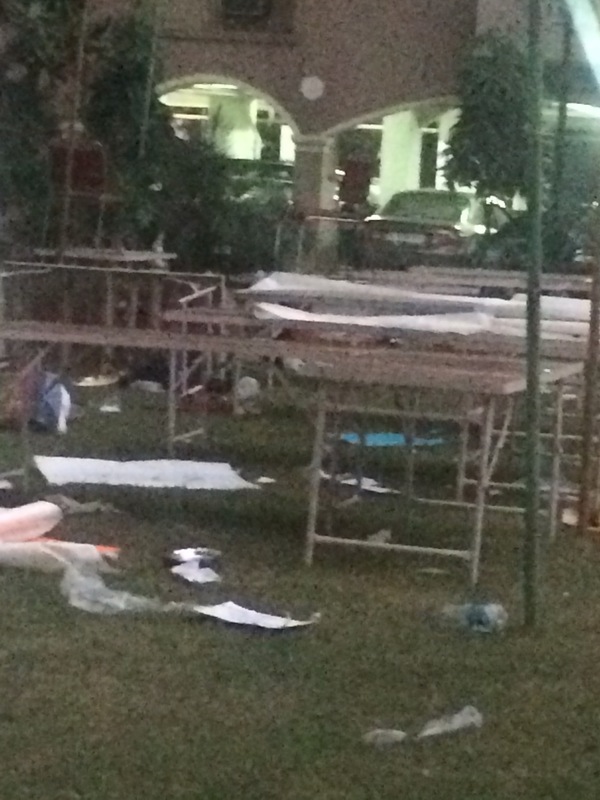 See this picture below – it’s the day after the Diwali Mela happened. While the garbage is lesser than the previous years, why is it even there??? I missed taking the pic of the plates and cups that were strewn about but the above pic gives you an idea. We hear from our friends who live in other condominium complexes around Gurgaon, that this behaviour is quite common. People are happy to spend thousands on celebrating Diwali but would probably pool in just a 100 bucks if something is to be done for the security staff and the cleaning folk. Why ? These guys are not enjoying Diwali because they have to watch out for you and your family ! The cleaning staff does not have the day off like you because they need to clean up after you… and it doesn’t take much to bring a smile to their faces on Diwali. Am not posting this to gloat, but it’s just to let folks know that it doesn’t cost a lot to spread Diwali cheer and it’s a better use of the money than buying yet another set of dresses or gifts for folks who already have a lot. We ordered lunch and dinner for the two shifts and it was great to see some other resident(s) had given away Atta and sweets to all the support staff. I also made 5 batches of OPOS Mysore Pak and the smile on our Milkman Roshan Lal’s face lit up a lamp nearly. He was thrilled that the Mysore Pak was warm and just that it wasn’t bought from a store. Diwali is about celebrating and if you can bring a smile to a human face – it’s celebration. So it was a Happy Diwali for us !